This is a re-print of a book first published in 1955. A paperback version of this book was one of the first books I bought from my pocket money in 1967 and I loved it (and other titles by the same author). I found them informative and very easy to read – several times if I remember correctly. The book is an attempt to reconstruct the life of an ordinary person in ancient Egypt. To do this it has a central character, the Vizier Rekhmire, whose tomb is well known at Thebes. Rekhmire lived during the reign of Thutmose III and the chapters of the book look at various aspects of the Vizier’s duties and life, with chapter headings such as "Houses and Furniture", "The Vizier gives a party", "Buying and Selling" and "Magic and Medicine". Parts of the book read like a novel with the main characters going about their business and we hear their imagined conversations. The author writes in a narrative style; not just giving facts, but really setting the scene. For example, in the chapter "Buying and Selling" we read, "It is afternoon. Two figures are moving down the long dusty, crowded road to the dockside of Thebes. One is a tall broad-shouldered Nubian, who holds a small, excited boy. The lad points eagerly to right and left. He drags at his companion’s arm, urging him to stay. Here is a man with a performing monkey: there a young girl dancing surrounded by a circle of hand-clapping men who squat in the dust". This really is bringing history to life, and is one of the reasons I enjoyed the book so much on my first reading. As the author himself stated in his introduction, "This is a book by an amateur for the amateur" and it worked, being one of the first really popular and really readable books on ancient Egyptian history. The book has been re-printed as part of a series of "History Classics" and "classic" it undoubtedly is. However, re-printing an old book presents new readers with a number of problems. Rather than just being re-printed, perhaps it should have been revised and updated. (Leonard Cottrell was born in 1913, and, having checked a number of sources, I think he is still with us, but if he was unable revise the book himself, then another Egyptologist could have done this.) In the almost fifty years since the publication of the book, Egyptology, and our knowledge of daily life in ancient Egypt, has changed a great deal, so the book now needs to be read bearing this in mind. Our knowledge about ancient life has been enhanced by continued work at places like Amarna and the discovery of the Workmen’s Village at Giza. The book compares ancient life to modern life in Egypt, and whilst there are still some comparisons today, there were many more in the 1950s before the building of the Aswan Dam and the introduction of new technologies and ideas. The greatest problem with the book is that the publishers have not included any of the original illustrations in the new version (though they do apologise for this). Whilst it may have been difficult to obtain copyright permission to use the original plates (and there weren’t many) then the inclusion of alternative illustrations, or even additional ones, would have made for a far better book. It is especially confusing and frustrating when reading the book, for all the references in the text to the (now missing) illustrations are still there. 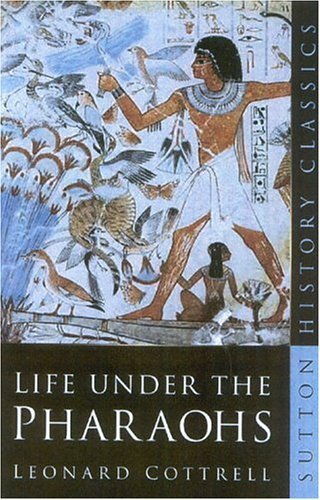 Life Under the Pharaohs is still a nice book to read, but readers might perhaps be better advised to watch out for copies of the original publication in second-hand book shops complete with the illustrations; they might be cheaper too! ISBN 0 7509 3723 8. Mummies never cease to fascinate, and this book proves just that, as in its entries we learn of the fascination with preserved bodies going back hundreds of years. 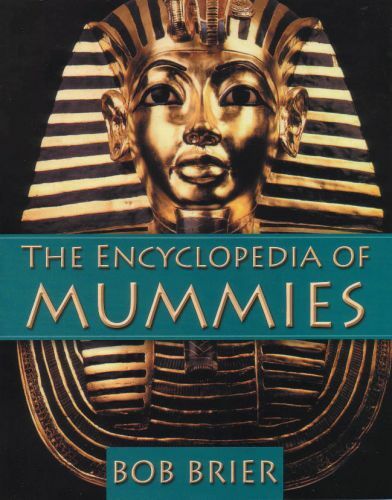 This Encyclopedia is an A to Z of entries on mummies from all cultures and all periods of history. As one would expect, ancient Egyptian mummies feature strongly throughout the book, but entries also cover Napoleon, Eva Peron and Lenin, as well as looking at Chinese, Italian, Peruvian and native American mummies. The entries are fascinating, but with one hundred black-andwhite illustrations, it might be a little ghoulish for some. The book is very readable and informative. It is a book which can be browsed easily, reading just a few entries at each sitting – in case one needs to limit oneself to the number of gruesome images viewed in one day! The Egyptian entries are very good (Bob Brier after all has written extensively on Egyptian mummies and is credited with the dubious honour of being the "first person in 200 years to successfully mummify a human cadaver using the tools and methods of the ancient Egyptians". The book also includes information on the influence of mummies on literature, film, the visual arts and popular culture. And … in case you want to read more about mummies, the book has a positively enormous bibliography, which will be invaluable to many who do want to study the subject further. The non-Egyptian subjects are fascinating too, and it is interesting to be able to compare human remains from different cultures and time periods and read about the context in which the bodies were preserved, be it social, religious or, as is sometimes the case, accidental. One thing puzzles me (and this is down to the publishers I suspect, rather than the author) – the design of the cover. It features what, at first glance, appears to be a not very good photo of the gold mask of Tutankhamun; upon closer inspection, this proves to be not the real mask, but a copy from an exhibition in Dorchester. What a shame; a nice mummy image, or even the real mask, would, in my opinion, have been much better. ISBN 0 7509 3650 9. Price £12.99. Edited by Derek A.Welsby and Julie R. Anderson. This is the large, impressive volume (with 336 pages and 470 colour illustrations) to accompany the major exhibition held at the British Museum, featuring objects loaned by the Sudanese National Museum, in Khartoum. (The exhibition runs until 9th January 2005). This is essentially a splendid catalogue of the three hundred and eighteen objects in the exhibition, with each one being illustrated, described in detail with measurements, museum accession numbers and a note if the object has been published before (which in many cases is limited to the original excavation records). The objects cover a wide range, from Palaeolithic stone tools, through the Pharaonic, Christian and Islamic periods right up to the Nineteenth Century. H a v i n g described this book as a catalogue of objects, this is not strictly true, for it is much more than that. Each period of Sudanese history is explained in specific articles as are the locations where many of the objects were found. This means all the objects can be seen not just as decorative and impressive items in their own right, but understood in their historical and social context. The production of books to accompany major exhibitions has become the norm now and all are recommended. The books include items that might often be overlooked in museum collections, or overshadowed in large collections. It means that humble or especially interesting artifacts can, quite literally, be placed under a spotlight and have attention justly drawn to them. The publications, often only in a limited print run and available for a relatively short period, contain an absolute wealth of information that cannot easily be found elsewhere. As such, they are always a valuable addition to any collection of Egyptological books, particularly for students. This volume will interest most readers of AE, particularly for the items which relate to the Pharaonic Period and the links between Egypt and Sudan, and it is an excellent book for that aspect alone. The many other objects included, from before and after the Pharaonic period are, nevertheless, just as interesting. They help, in the case of earlier objects, to put what follows in context, and in the case of later objects, to show that there is a continual development and evolution that reflects and is often inspired by earlier periods. 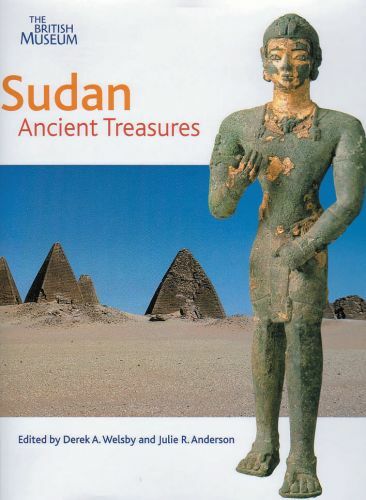 Sudan: Ancient Treasures, gives a vivid insight into the number of ancient cultures that flourished there, and how they interacted with and related to the culture of the Nile Valley. It also covers the history of archaeology in the country and the most recent and important work being undertaken there. ISBN 0 7141 1960 1. In 2000, the annual Colloquium of the Department of Egyptian Antiquities at the British Museum focussed on the area of Thebes, and many internationally known Egyptologists and experts came to London to present their papers, on a wide range of topics, but all connected to work in the Theban Necropolis or on objects which came originally from there. This book presents all the papers given at the colloquium. Thebes is probably the largest archaeological site in Egypt and the area has attracted interest for the last two hundred years. The aim of the colloquium was to present material from the Necropolis on the West Bank of the Nile, and to include material on periods other than the New Kingdom, which is often the most featured period in the history of the area. The range of articles is impressive … and covers both how the area is being preserved and studied today and future plans for the it. Specific tombs are looked at in detail and also some burials, such as the Middle Kingdom tomb of Wah at Thebes. Some of the tombs included here and the objects and coffins, often fragmentary, may never make it into more popular books on Egypt, but the story they have to tell is nevertheless as important as some of the better preserved tomb scenes and artifacts. Techniques of excavation and recording have changed over the centuries and it is interesting to find that earlier excavations and sites can be re-visited and appraised in the light of more up to date knowledge and with better techniques to examine, record and conserve objects. Like the Museum’s exhibition catalogues, the published papers of the colloquia at the British Museum are extremely valuable and important publications, and give the opportunity for individual or team research to be made public; this will be the base for future work on the area. 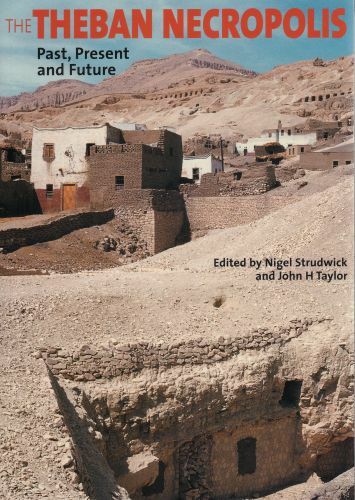 Some of the articles are quite technical, but, for the keen enthusiast, the information contained in this book is fascinating and informative, and reminds us, if that were needed, how important a site the Necropolis at Thebes is, reflecting as it does thousands of years of life and death in the area. ISBN 0 7141 2247 5. 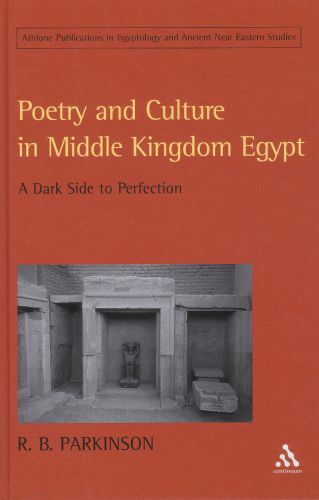 Despite its title, this book deals with Egyptian literature in a broader sense than just poetry. The author has some very interesting things to say about the nature of Middle Kingdom literary works and analyses their style and content in considerable depth. He gives a good overview of the problems that have been posed by different approaches to translation and interpretation in the past, especially when the translators had preconceived notions as to the purpose of the original text or were not engaged with its context. He explains how many famous scholars of Egyptian literature have had a tendency to impute modern motives to the ancient writers and this can colour the tone of their translations. 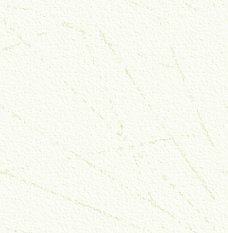 I found his discussion of the view of Egyptian literature as propaganda particularly interesting, especially when examined against the changing estimates of literacy in Egypt. After all, what is the point of writing propaganda for a predominantly illiterate audience? This said, I must admit that the book is no easy read. It is one of the Athlone Publications in Egyptology and Ancient Near Eastern Studies, a series edited by John Baines, whose editorial board includes many of the great and the good of modern Egyptology. The pages are liberally peppered with references, as you would expect of a highly academic text, and many quotes are in French. These features place this book beyond the needs of the interested amateur but I am sure it will be a useful resource for serious students of Egyptian literature. However, to cite the quote introducing the section on The Literary Tradition in Egyptology, the critic "has a right to alter any passage he does not understand". ISBN 0 8264 5637 5.